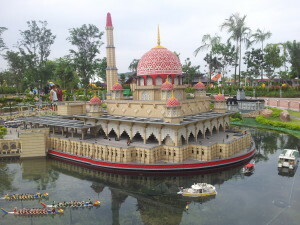 Legoland Malaysia was the highlight of my childrens’ Malaysia visit. 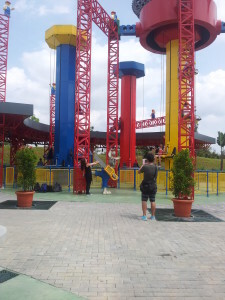 It was also one of two reasons why we booked a few days at Johor Bahru, which is about 4 hours by bus from Kuala Lumpur. 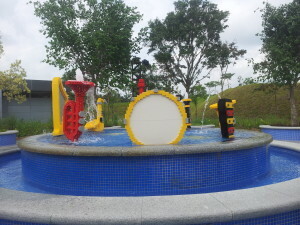 The second reason was that it was near the border of Singapore, so we could visit Singapore for the day. In retrospect, that was a bad idea. Singapore merits at least 3-4 days for a visit, so we’re going to have to return there someday to visit all the attractions we missed on our first trip there. In the few hours that we were there, we boarded the hop-on hop-off bus and managed to see some of Singapore. 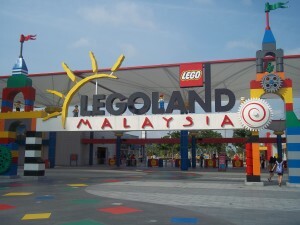 Back to Legoland Malaysia . 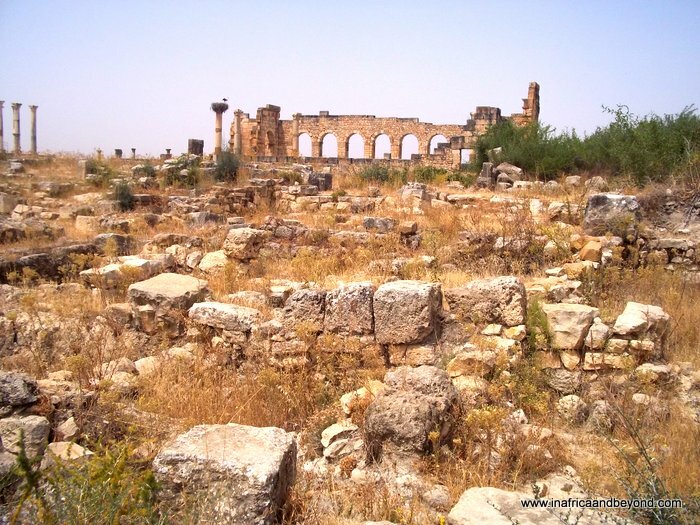 It was opened in 15th September, 2012. I haven’t been to any other Legolands so I can’t compare it to any of them. 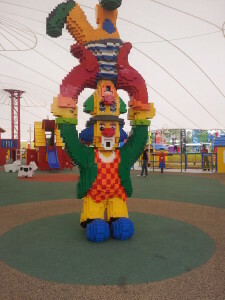 But what I can say is that my kids loved it and we enjoyed it too. There are over 70 Lego-themed rides, shows and attractions. 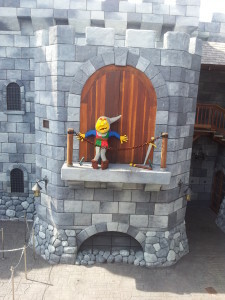 The attractions are themed eg. Land of Adventure and Imagination. Most are aimed at children but several are aimed at the whole family. Interactive ride- hoist yourself as high as you can! Many of the attractions are interactive, such as the musical orchestra, which has built-in sensors. We had lots of fun standing in front of the different instruments to activate them simultaneously. There is a 4D movie theatre with fun shows for kids. The kids got their “driver’s licences” at the driving school then got to drive on life-sized roads with road signs. The laser-blasting ride where one shoots moving targets with laser guns was a blast! 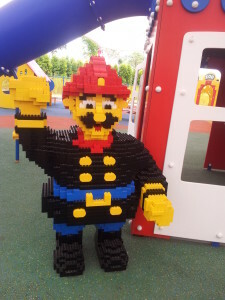 We competed at the Lego Academy where we built Lego creations and tested their strength. 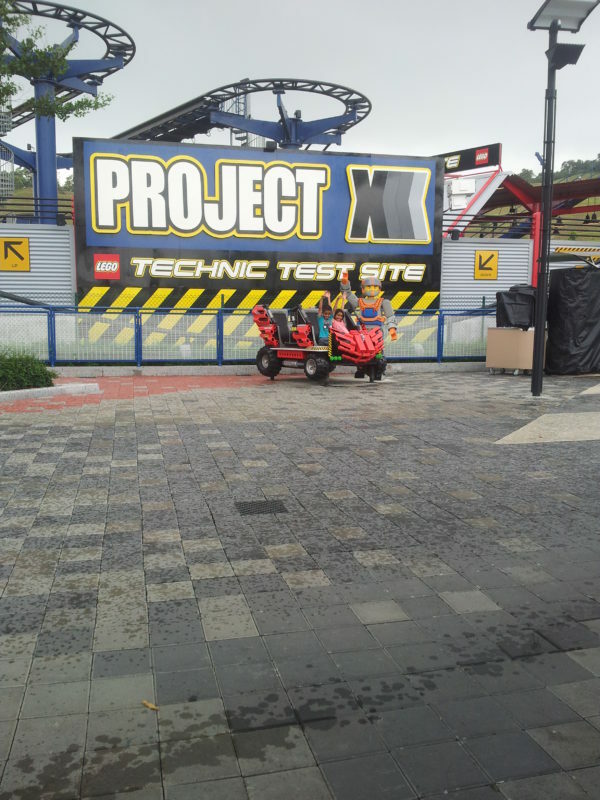 The Legoland Express took us on a train ride around Legoland. We had great views of Legoland from the Observation Tower attraction. There are photographers walking around taking photos of visitors. Printed copies can be purchased at the Legoland gift shops. Needless to say, there is a lot of Lego for sale there. 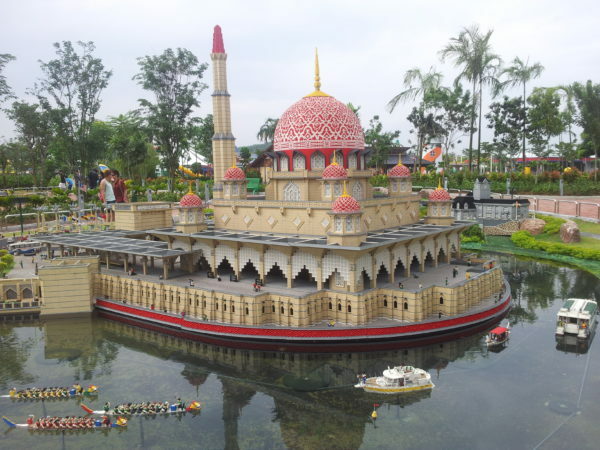 Miniland was my personal favourite. 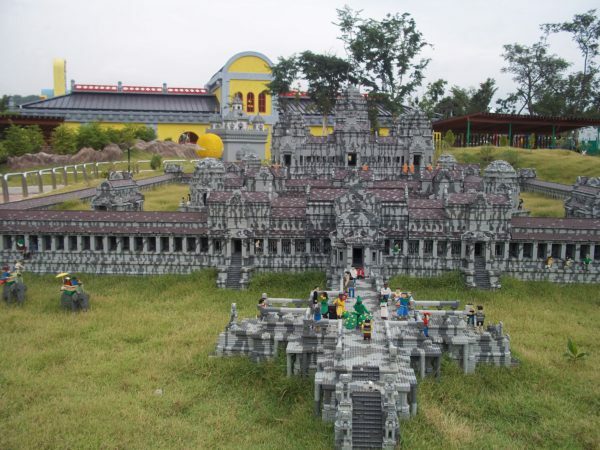 There are Lego replicas of famous Asian landmarks like the Taj Mahal, Angkor Watt and the Petronas Towers, on a scale of 1:20. 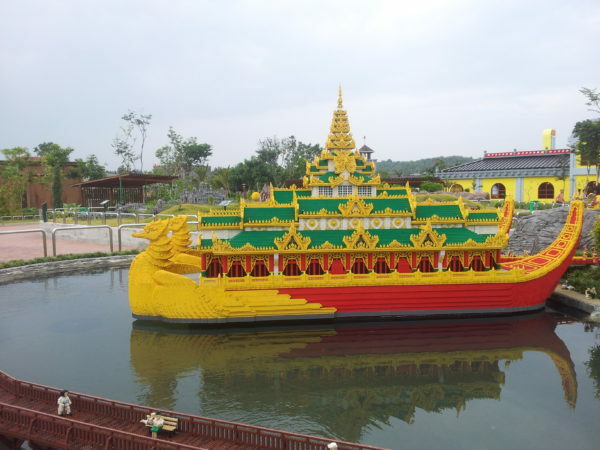 More than 30 million Lego bricks were used to make them. The hotel was still under construction when we were there but it is now open for guests. A waterpark was opened towards the end of 2013 after our visit. Malaysia has many theme parks but Legoland Malaysia is definitely one of the most popular and definitely worth a visit. 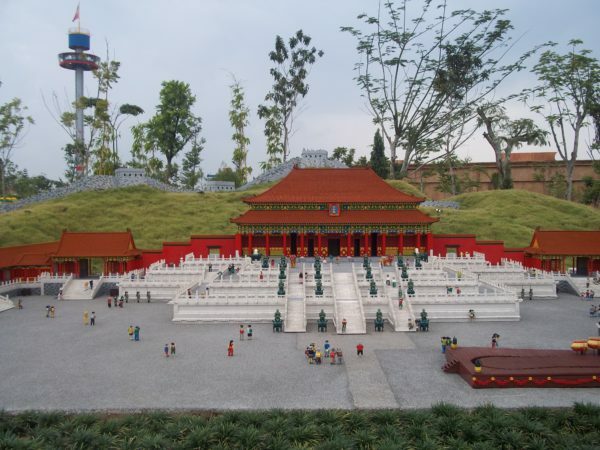 For more information, visit Legoland Malaysia . Wow, What a great blog. All of the Malaysia tourist place-related posts are so informative. I liked them! Thanks for sharing. awesome ! My son would go nuts to see something like this! Thanks Cassan. My kids sure did go nuts there too!